A delegation from Martinique met with representatives of the Eastern Caribbean Civil Aviation Authority (ECCAA) at the Organisation of Eastern Caribbean States (OECS) Commission, recently, to discuss the implementation of two initiatives that aim to address air connectivity challenges within the Caribbean, European countries, and North and South America. Director General of the OECS, Dr. Didacus Jules, and Tourism Officer, Maria Fowell, met with the Deputy of Martinique, Serge Letchimy; Director of Civil Aviation for the French Territories of the Caribbean and French Guiana, Frédéric Guignier; Marketing and Communication Officer of the International Airport of Martinique, Valérie Césarine; and three representatives of the ECCAA, namely, Director General, Donald McPhail, Director of Flight Safety, Sylvester Dardaine, and Director of Air Navigation Services, Anthony Meade. As part of his mandate, Letchimy is responsible for the mission, which was requested by the Ministry of Transportation and the Ministry of the French Overseas Territories. The mission seeks to address the challenges with regard to air connectivity at three different levels: regional airline connections, connections with Europe, and connections with North and South America. A similar initiative is also being implemented in other French Overseas Territories of the Pacific and the Indian Ocean. This mission resulted in the successful opening of air routes between Reunion Island, a French territory located in the Indian Ocean, and the neighboring countries of Madagascar and South Africa. “The global objective of the mission is to place the Caribbean at the center of negotiations regarding airline connectivity between France and the Americas,” Letchimy said. Letchimy is committed to the achievement of this objective, especially through the launch of two initiatives, namely, an annual conference on airline connectivity and a commission dedicated to airline connectivity matters. He affirmed that both initiatives would provide a unique space for discussion among the OECS Commission, civil aviation authorities, heads of government of the OECS member states, other Caribbean countries, and representatives of the major airlines which operate in the region. Jules welcomed the two initiatives, mentioning their alignment with another project named Caribsky. The Caribsky project was officially launched in Guadeloupe in April 2018 and was the result of a partnership between three regional airlines: Air Antilles, LIAT, and Winair. The €4.7 million project is funded by the European Union’s Interreg Caribbean Program, which provides 50 percent of the global budget. It seeks to improve air transportation within the region by forging a network of interconnected airlines serving 46 destinations in the Caribbean. Caribsky will contribute to the free movement of people and goods, and encourage cultural exchanges while boosting economic growth. 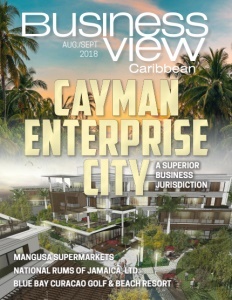 “It is our responsibility to ensure the success of the Caribsky Project because it signifies a concrete example of collaboration between French, English and Dutch Caribbean islands,” Jules stated. 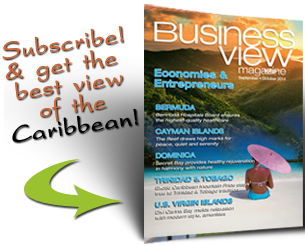 Check out this handpicked feature on Leading Hotel and Dive Groups Agree on Caribbean Collaboration.